1980's Italian game. No idea how it is played but there are team stickers that attach to plastic player figures plus charts to record scores. 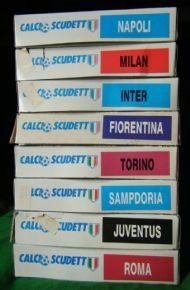 Available in many different Italian club sides. If anyone knows how this game is played or the figures are supposed to be used then please get in touch. 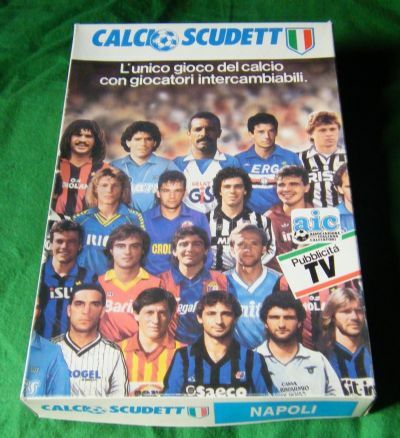 Featuring the famous Serie A players of the time. The price is for all 8 sets together. 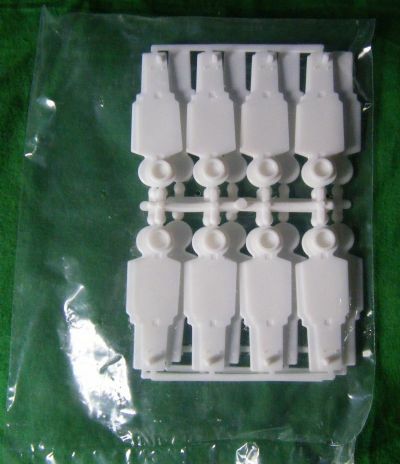 Plastic figures - no idea what you do with them. 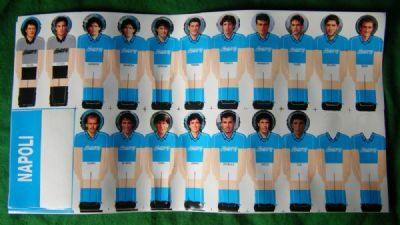 Set of stickers with real photo heads. Close up of a player sticker. 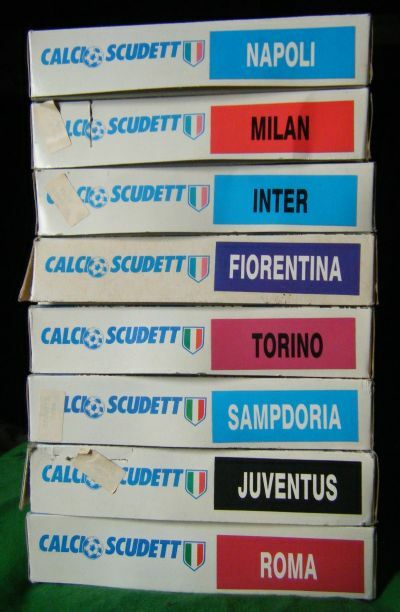 Available in all major Italian club sides. 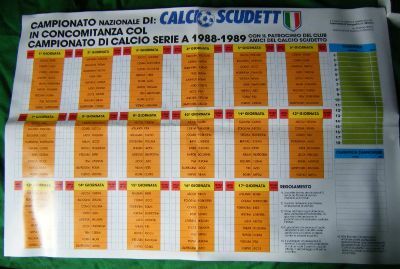 Double sided poster of fixtures and results.